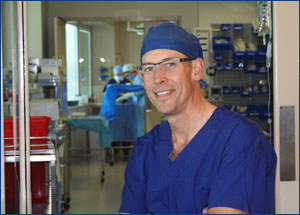 I am an Orthopaedic Surgeon working in Sydney, Australia, subspecialising in Hip and Knee Replacement, Knee Arthroscopy and Knee Ligament reconstruction. This website is designed to provide you information about the operations I most commonly perform. 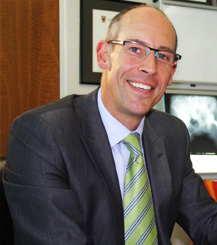 Specialising in hip and knee surgery allows me to keep up with the latest developments and technology throughout the world. My website features web movies on Knee Arthroscopy, Unicondylar Knee Replacement, ACL reconstruction, Revision Hip and Knee Joint Replacements, Hip & Knee joint anatomy and some common conditions affecting the hip and knee joints. Please note that your decision to have surgery should not be based exclusively on the information you read here, but be fully discussed with your surgeon or family doctor before proceeding. I completed my medical degree at the University of NSW in 1986. After finishing the orthopaedic training scheme in Sydney in 1995, I continued my training overseas first at the Orthopaedic and Arthritic Hospital in Toronto, Canada and then at the Royal National Orthopaedic Hospital, London, England, where I held the Commonwealth Fellowship. I am actively involved in Registrar and Undergraduate teaching in the above hospitals. Results of Unicompartmental Knee Arthroplasty With Cemented, Fixed-Bearing Prosthesis Using Minimally Invasive Surgery. Biswal, S and Brighton, RW, Journal of Arthroplasty, Vol. 25 No. 5 2010, pp 721-727. Mid-term results of Uncemented Stem with Metal-on-Metal Bearing, 5-7 Year Results, AOA NSW Meeting, Sept. 2017. Does Knee Stability Influence PROMs after Total Knee Replacement?, Australian Arthroplasty Association, Hobart, May 2018. Medially Stabilised vs. Cruciate Retaining Knee – is there a difference in PROMs?, AOA Annual Scientific Meeting, Perth, August 2018.